Democratic Baltimore County Executive County candidate Johnny Olszewski falsely claimed the endorsement of a non-profit organization this week. On Wednesday, Olszewski was endorsed by the Blue Guardians, a Baltimore County organization of police officers. This endorsement was legitimate, however, Olszewski also claimed that he was endorsed by the Guardian Knights, an organization of firefighters. The claim of both endorsements found its way into a video shown on WJZ news last night. The problems with that are two-fold. One, the Guardian Knights did not endorse Olszewski. But secondly, the Guardian Knights are a 501(c)3 non-profit organization. They are not allowed to endorse candidates by law. The Olszewski campaign sent out a press release yesterday touting the endorsements of both the Blue Guardians and the Guardian Knights but this news release is conveniently not available on Olszewski’s website. 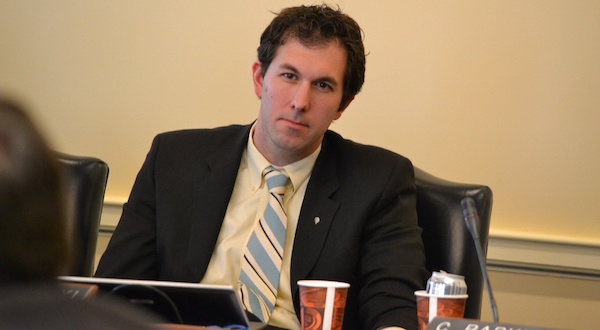 A source who received the press release stated that while both endorsements were contained in the release, a correction was never issued by the Olszewski campaign. While they refuse to issue corrections, the campaign is, however, trying to hide the fact that they ever promoted a fake endorsement in the first place. Olszewski promoted his endorsement on Facebook. But the original version of what was posted is not the same as what is currently posted. Olszewski did not issue a correction to the fake endorsement that his campaign created anywhere on his Facebook page, website, or other public-facing materials. The irony of all of this is that Olszewski is covering up this fake endorsement at a time in which he is crying about “transparency” while on a wild goose chase regarding Republican opponent Al Redmer’s timesheets working as Maryland’s Insurance Administrator. What’s the bottom line of this endorsement fiasco? 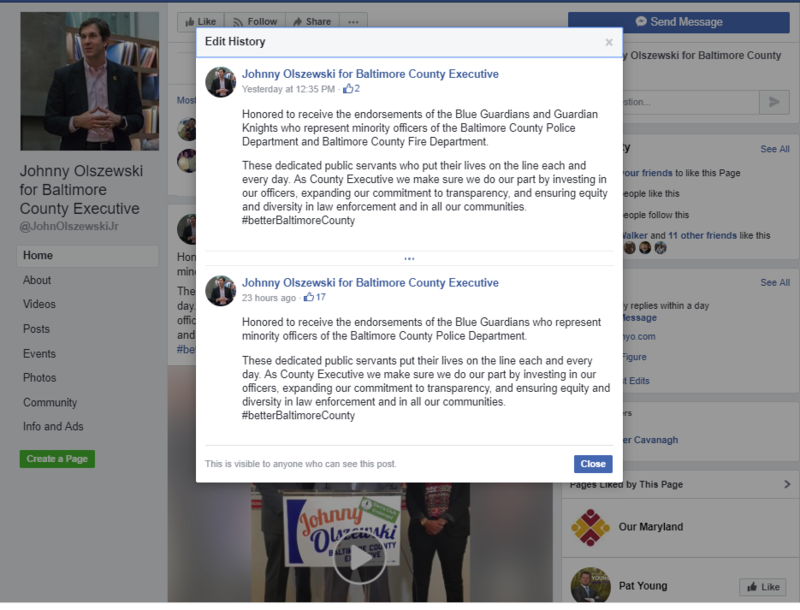 It’s the fact that Johnny Olszewski can’t be trusted to tell the truth, he can’t be trusted to deal honestly with local community groups and organizations, and he can’t be trusted to be transparent and honest with the people of Baltimore County.